Welcome to the BASD Library OPAC! My name is Mrs. Mueller, and I am the Farmersville Elementary School Librarian. Our school has nearly 500 students in grades K-5, and each student comes to me for a weekly library class. We read lots of fiction and non-fiction books, play games, and do fun extension activities that go along with what we are reading and learning. Students also get to borrow 1-2 books every time they come to library class. 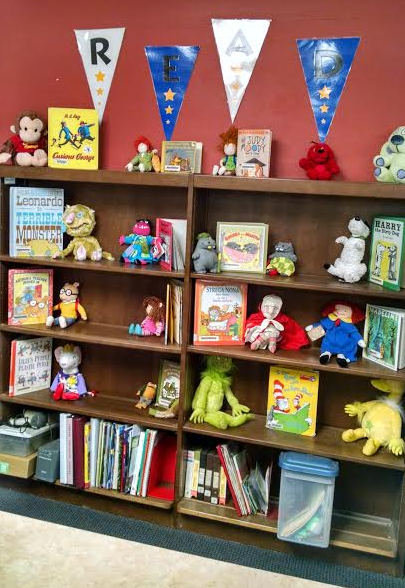 The Farmersville library has a Primary Section for grades K-2, an Intermediate Section for grades 3-5, and a Professional Collection for the staff. We also have a silent reading area with comfy bean bag chairs and fun pillows for students to enjoy after they have selected their books. 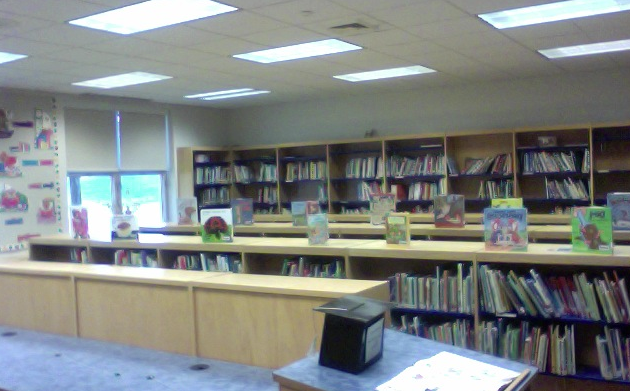 Additionally, we have a brand new listening center with books on tape and CD, as well as 8 Chrome Books. We are excited to use more technology in the library this year! We will be using the Chrome Books to conduct author studies and other research projects. One of the special things I do with my students is the Book Bucks program. Students who follow all of my rules get to put their Book Buck in my star student box at the end of class. Every Friday, I select a winner from each grade level. Winners get to choose a prize and sit in a fuzzy lounge chair the next time they come to library class. Farmersville students love coming to the library, and I love teaching them! My name is Mrs. Hahn and I am the librarian at East Hills Middle School. The East Hills library services over 1,000 students and has over 13,000 volumes. The library provides opportunities for curricular support and opportunities for checking out books for pleasure reading. Students are able to use both Mac desktops as well as Google Chrome books to look for books or do research. Additionally, students have access to online databases through Gale Cengage and e-books through Overdrive. Sixth grade students have scheduled visits with their Literacy classes and all students are encouraged to come to the library at any point throughout the day on a pass. I have collaborated with many teachers on projects and topics such as National History Day, how to research, online databases, book talks, research specific to a topic, and the community project which resulted in the beautiful panels that now hang in the library. 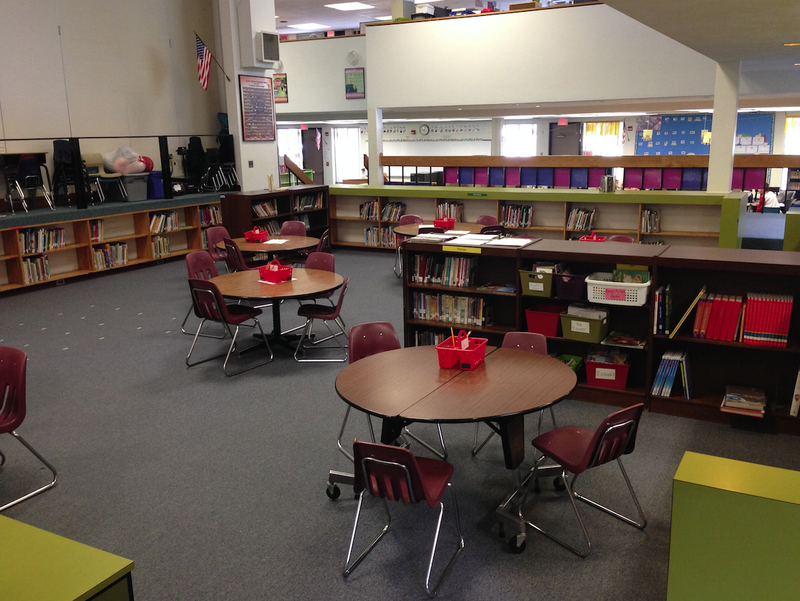 Please visit East Hills' LibGuide page to see more evidence of teacher/library collaboration. The library also supports the East Hills Reading Olympics team! My name is Mrs. Egner, and I am the Librarian at Calypso Elementary School. The Calypso Libray services almost 250 students. I meet the curriculum needs of the students through weekly instruction, where thee students learn how to access over 10,000 books in the library for check-out. We have 8 new chrome book laptops in the library, where the students will access the card catalog and they will be able do research on various topics discussed in the library, such as: authors and their books, award winning books, and many more topics of interest. The librarian at Freedom High School is Ms. Hyland. 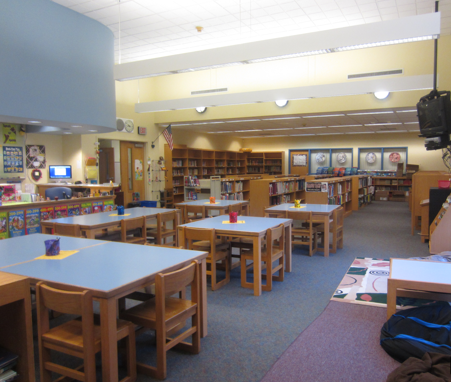 The library services almost 2,000 students from Bethlehem Area School District. 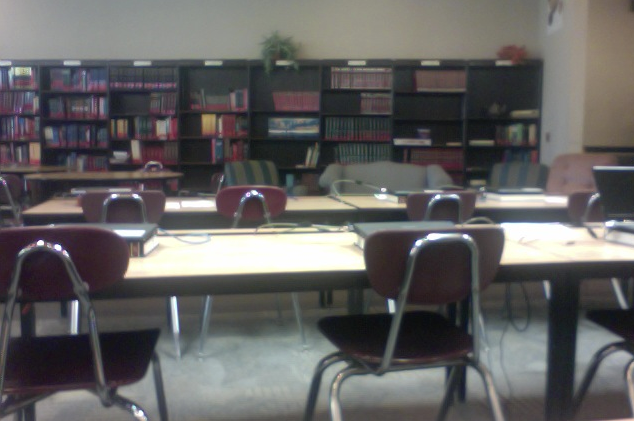 The computer lab consisting of 34 Google Chrome Books. Online research databases are located on our Building and District LibGuides resources pages. 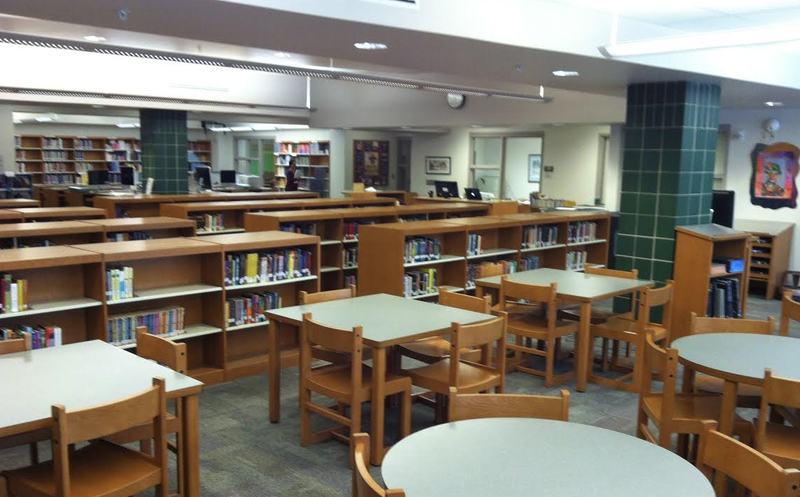 The FHS library teaches students to locate, evaluate, analyze synthesize, select create and share information in many formats; promotes a culture of questioning, information, seeking and discovery; and promotes collaboration among students, faculty, colleagues, administrators and parents. 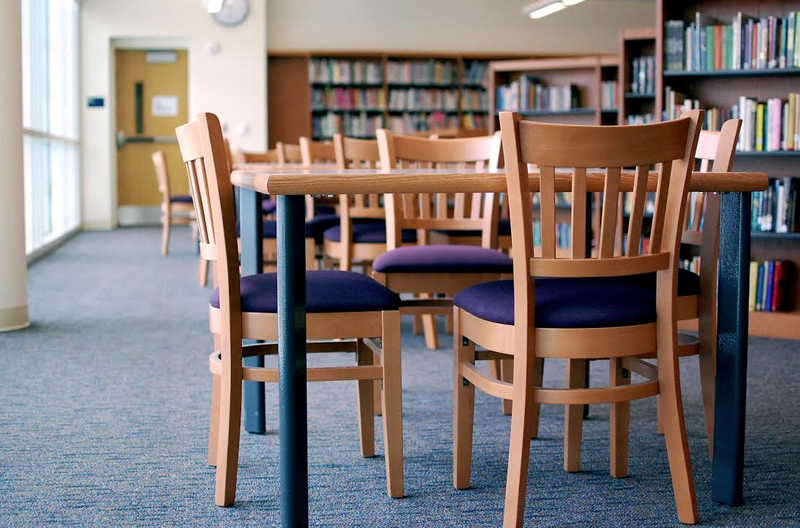 This library also shelters students who may need a safe haven. The curriculum is enriched and the educational objectives are supported. 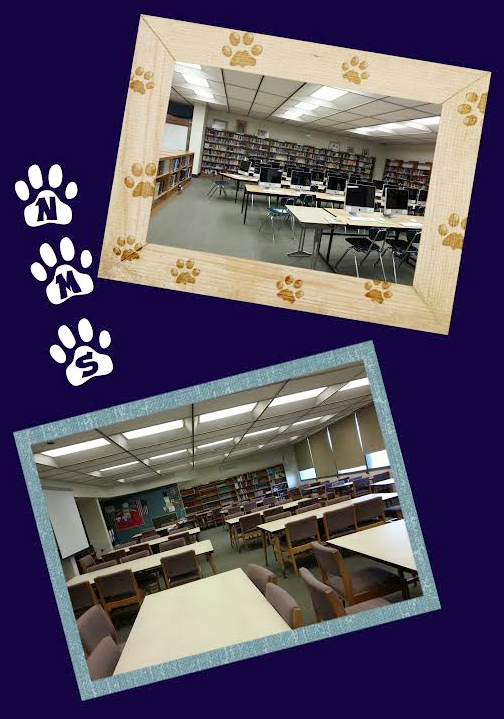 Please come in and visit the FHS Library and see what we can do for you! My name is Mrs. Egner, and I am the Librarian at Marvine Elementary School. The Marvine Library services over 300 students. I meet the curriculum needs of the students through weekly instructional classes, where students will learn how to access almost 7,000 books in the library, for check-out, and where they will learn other library essentials, like famous authors and their books, book award winners, and they will hear great stories, too. We have 8 new chromebook laptops in the library, where students will access the card catalog and where students will be able to do research on the various topics that are explored in the library classes. The Northeast Library provides students access to a collection of more than 10,000 print materials geared to the middle school student. In addition to print materials, students have access to online research databases: POWER Library, GALE Student Resource Center Junior, GALE Student Resources in Context, and GALE U.S. History in Context. Northeast now offers ebooks for lending through OverDrive. In addition, our LibGuides allow us to build custom research guides. Northeast has a full-time librarian and can offer library services every day. Library services are integrated primarily with our reading classes, giving students access to the library on a regular basis. Integrated research projects are created with classroom teachers to provide students with robust learning opportunities. Welcome to Asa Packer Library! I am the librarian, Mrs. Mertz. I often refer to our media center as our library laboratory where kids from kindergarten through fifth grade come to explore and learn about books through research. In addition to e-books available through our on-line resource, Overdrive, our physical collection houses over 9200 books along with magazines to include: Kids Discover, National Geographic Kids, Owl, Ranger Rick, Sports Illustrated for Kids and ZooBooks, just to name a few. We also have 8 Google Chromebooks students use to research books, using our on-line catalog. During library class, technology lessons show students how to access, use, and evaluate internet resources. In addition, students are taught how to be library citizens by learning basic book care skills, responsibility, library rules and etiquette. Students learn how to locate books by learning about alphabetical order and the Dewey Decimal System. They also learn about literature with lessons focusing on genre, author studies, various book series, Caldecott Award winning books and Newbery Award winning books. Our collection and materials are constantly changing and growing, so our Asa Packer Library Media Center is always an exciting place to visit! Welcome to Hanover Elementary Library! I am the librarian, Mrs. Mertz. 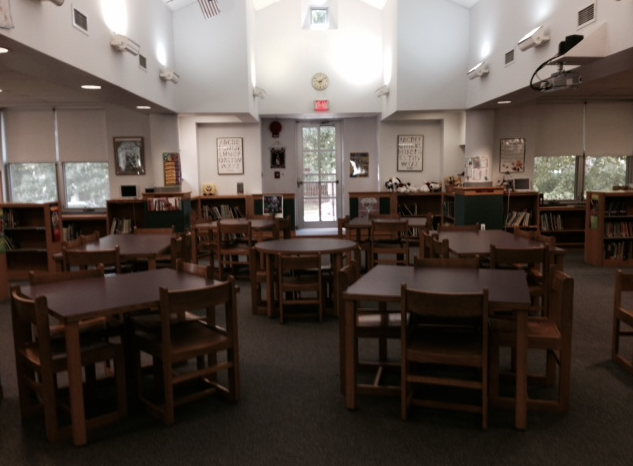 I often refer to our media center as our library laboratory where kids from kindergarten through fifth grade come to explore and learn about books through research. In addition to e-books available through our on-line resource, Overdrive, our physical collection houses over 9200 books along with magazines to include: Kids Discover, National Geographic Kids, Owl, Ranger Rick, Sports Illustrated for Kids and ZooBooks, just to name a few. We also have 8 Google Chromebooks students use to research books, using our on-line catalog. During library class, technology lessons show students how to access, use, and evaluate internet resources. In addition, students are taught how to be library citizens by learning basic book care skills, responsibility, library rules and etiquette. 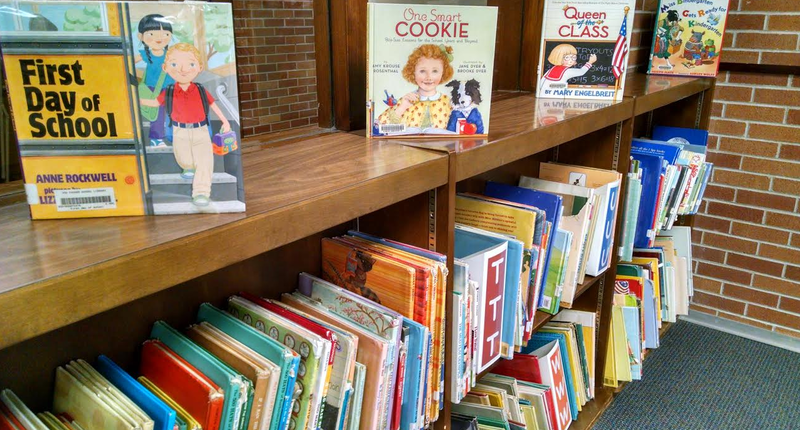 Students learn how to locate books by learning about alphabetical order and the Dewey Decimal System. They also learn about literature with lessons focusing on genre, author studies, various book series, Caldecott Award winning books and Newbery Award winning books. 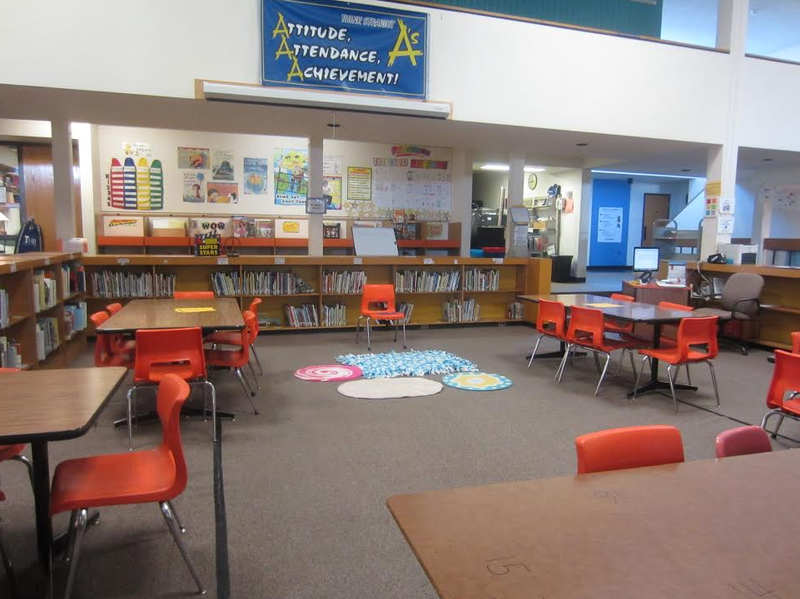 Our collection and materials are constantly changing and growing, so our Hanover Elementary Library Media Center is always an exciting place to visit! 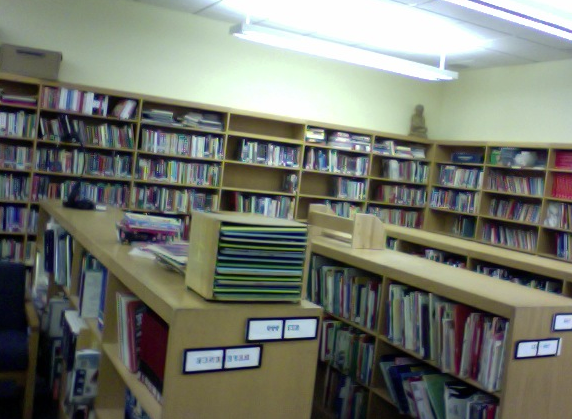 Welcome to Spring Garden Elementary School Library. My name is Mrs. Mikitka and I am the librarian. Students visit once a week with their class to check out materials and to practice information literacy skills and digital citizenship. as well as an appreciation of writing and illustration styles is fostered. Our Library provides intellectual and physical access to information, literature and technological resources. My Objectives for the Library program are: To instill a love for books, reading and the Library in all who enter the Spring Garden Library. To ensure that students develop the necessary skills to use information, ideas, and technology ethically, creatively and critically as well as to foster students’ love of reading and their ability to become lifelong learners. provided by a subscription to Gale Cengage, and students have access to check out eBooks through Overdrive. Sixth grade students visit the library every other cycle for a mini-lessonand to check out library books. Seventh and Eighth grade students come to the library with a pass from their teacher or with their entire class. Students also come to the library for assistance with technology. Students at Nitchmann benefit from co-teaching and collaboration between the librarian and classroom teachers. Students learn about scientists by researching using the Gale databases and using Glogster to create online virtual posters. We learn about Ancient Greece by working in 12 “centers” in the library using a variety of different mediums. I am proud to be part of the Nitschmann Nation! 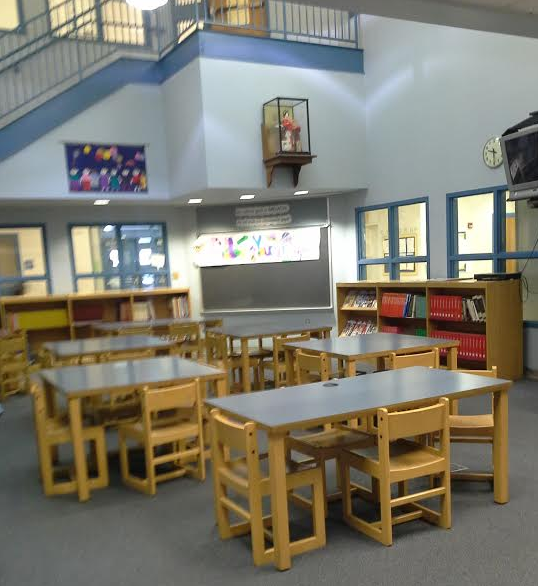 Welcome to the William Penn Elementary School Library! Our names are Mrs. Mueller and Mrs. Rusnock, and we are the librarians here. 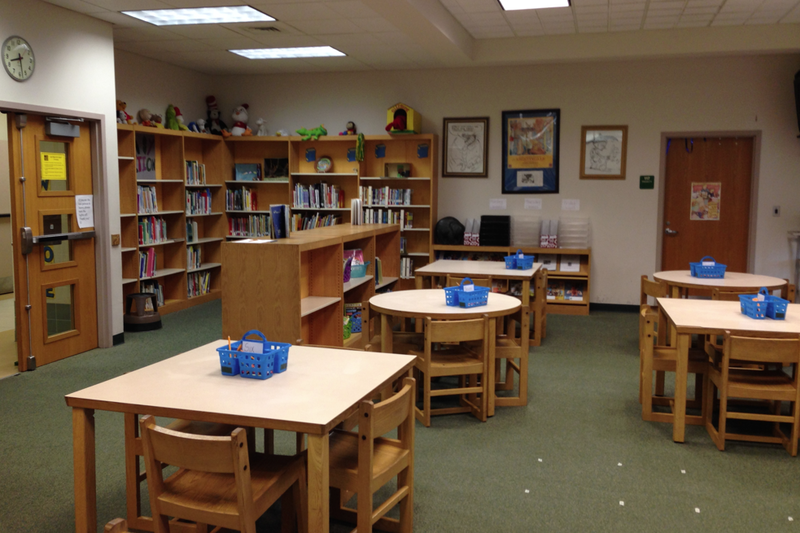 Our school has 200+ students in grades K-5, and each student comes to us for a weekly library class. We read lots of fiction and non-fiction books, play games, and do fun extension activities that go along with what we are reading and learning. Students also get to borrow 1-2 books every time they come to library class. The William Penn library has an Easy Section, a Fiction Section, and a Non-fiction section. We also have 8 brand new Chrome Books. We are excited to use more technology in the library this year! We will be using the Chrome Books to conduct author studies and other research projects. One of the special things we do with our students is the Book Buck program. Students who follow all of our rules get to put their Book Buck in the star student jar at the end of class. A weekly winner is selected from each homeroom, and that student is allowed to choose an extra book and read on a bean bag chair the next time they come to library class. William Penn students love coming to the library, and we love teaching them! My name is Mrs. Davis, and I am the Liberty High School Librarian. The LHS Library services almost 3,000 students from the city of Bethlehem, and as the librarian I support all of LHS's curriculum and research needs. We have a great computer lab consisting of 30 Google Chrome Books and 19 Air Mac Laptops. Our students have access to online research databases provided by a subscription to Gale Cengage. These databases are located on our Building and District LibGuides resources pages. We do a lot of research and writing at the high school level and I love meeting all of the students when they come down with their classes to start research assignments. The 9th grade Freshman Seminar class gets to participate in a Library Scavenger Hunt to learn the ins-and-outs of their library and resource material availability. The seminar class will use learned study skills and library resources to formulate thesis statements, re-enforce note-taking skills, and creation of MLA citations on resources used in their research. At this time we have five kindles available for student check-out ​​to use in conjunction with the eBook platform OverDrive. 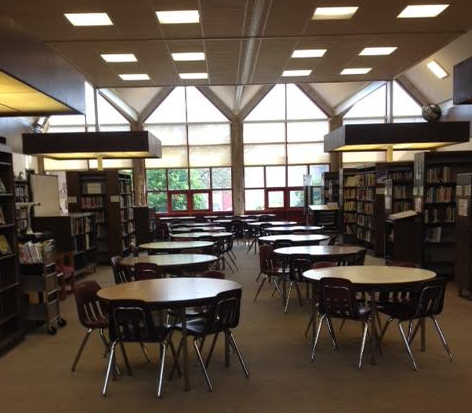 This is a great library, and I look forward to meeting every student that walks through the doors of LHS! My name is Ms. Schmitt, and I am the librarian at Governor Wolf Elementary. The library has about 8,500 books. We also subscribe to five different magazines and the copies remain in the library for student use. All students in grades kindergarten through fifth have the opportunity to check out books during their scheduled class time each week. I teach lessons that cover topics such as using electronic and print resources; using the online catalog to locate books; conducting a research project; and creating podcasts. Of course I also spend a large amount of class time reading books! Students are exposed to a variety of authors and genres so they can discover what types of books they enjoy reading. I truly enjoy helping my students to love reading as much as I do! My name is Ms. Schmitt, and I am the librarian at Thomas Jefferson Elementary. The library has about 7,000 books. We also subscribe to four different magazines and the copies remain in the library for student use. All students in grades kindergarten through fifth have the opportunity to check out books during their scheduled class time each week.